Breathing The breath is co-ordinated with exercises so that the exhalation occurs with movements that require the greatest effort. The diaphragm and Transversus Abdominus activate with the abdominal drawing in technique, and their activation occurs earlier in exhalation. Therefore, exhalation with the movement of greatest effort provides the spine with the greatest local muscle stability. Concentration Pilates is of the mind and body. Unlike other forms of exercise, the mind cannot switch off. Concentration on every movement is vital to promote correct alignment and body awareness. This principle may also be described as Mindfulness in Movement. Control Movement control is elemental when working against gravity in matwork exercise. Centering Also known as your “Powerhouse” or your “Core” – a cylinder-like group of deep muscles which maintain a slow, low level, imperceptible activity throughout the day. Pilates challenges the ability of these muscles to maintain control of your spine through various exercises in a variety of postures. Precision Precision of movement is a long term goal in Pilates practice. Routine in the techniques creates precision which leads to greater awareness and control. Flow. Pilates exercises are performed in even, continuously flowing movements. Integrated isolation Pilates builds mind-body awareness, thus kinaesthetic awareness. 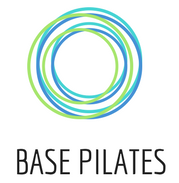 Routine in Pilates allows one to recognise incorrect patterns of movement, isolate them and correct them. Routine As with any exercise therapy, repetition leads to greater skill and greater benefits.